Most UK coffee drinkers still drink instant at home but are happy to pay a premium for coffee in a shop. With the right coffee selection and brewing technique you can have good coffee at home too! We will teach you how to select your coffee, the essential elements of brewing and finally a practical lesson on how to brew the perfect cup at home. 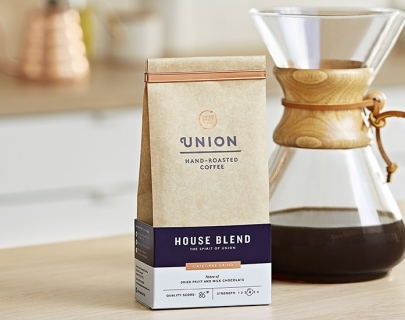 Union Hand Roasted Coffee source our high quality speciality coffee straight from the farmers. It’s called Union Direct Trade, and it means we work in partnership with farmers to improve both the quality of coffee and livelihoods long-term. All our coffees are hand roasted in small batches to develop delicious flavour and aroma. We are Award Winning, proud roasters for Britain’s finest restaurants, cafés and high end food stores. Join members of our expert team as we share the joy of making better coffee. The aim of the course is to provide an understanding of what is speciality coffee, and how we can get the most out of each coffee with various brew methods. Coffee Selection– Tasting different filter coffees. What is the difference between a blend, single origin or microlot? What factors influence taste? Light Roast vs Dark Roast. Grind Size, Ratio, Water Temperature and water quality. Practical Brewing Session – Learn how to brew the perfect cup of coffee using a cafetiere (immersion method) and a Chemex (pour over method).